It's a quick time jump to the 26th century where a school trip to a rebuilt 21st century city turns into a wild adventure for teenaged Shinichi. 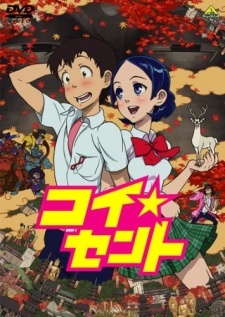 While chasing a talking deer that steals his bag, he runs into a strange girl trying to elude even stranger pursuers, and then things get really wild. It's a mad dash through a city of the past as two young people discover a chance at a new future.